As far as we’re concerned, photos of the dibs and dabs of makeup are artwork! 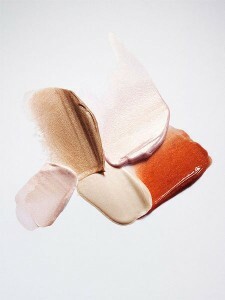 The beautiful colors, the perfect smears of glossy, sparkly, seductive makeup. We can’t get enough! This particular palette looks perfectly paired for a Summer day. The deeper bronze & rich orange/red are tempered by the sweeter, light pink hues for a wonderfully cohesive look. What colors are inspiring you this season?